Taylor Cole has become a familiar presence and fan favorite on Hallmark Channel in recent years, and this month, she returns with two new movies–One Winter Proposal, the sequel to last January’s One Winter Weekend, which airs Saturday night, and next weekend, she’s on Hallmark Movies & Mysteries in Ruby Herring Mysteries: Silent Witness, which she and the network hope kicks off a new mystery wheel franchise. I spoke with Cole Friday afternoon about both projects. 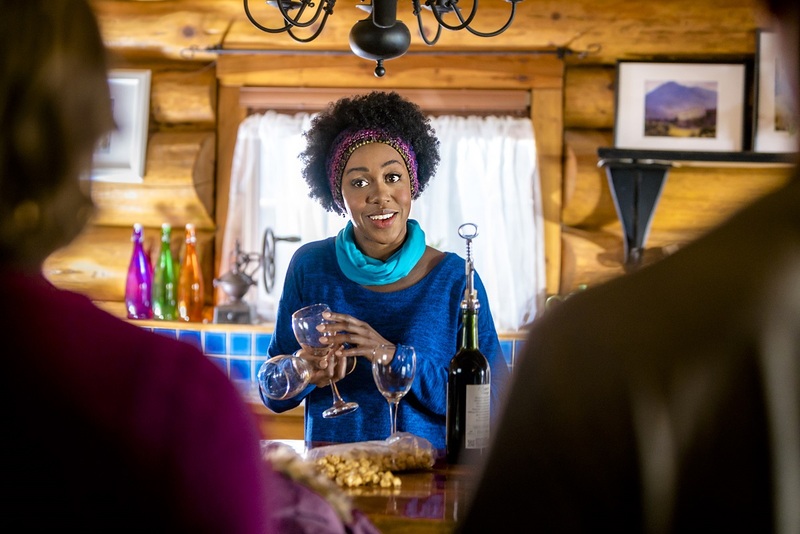 Cole loved regrouping with the full cast of Jack Turner, Rukiya Bernard, and Dewshane Williams for One Winter Proposal, as well as the director, Gary Yates. The new film picks up a year after the first and finds Cara and Ben happy together as she’s about to publish her first book and start grad school and he’s kicking off a new business. What she doesn’t know is that he’s also planning a perfect proposal when they revisit the resort where they met. They’re joined by Megan and Sean, who never got past a first date but are definitely still interested in each other, if they can find the time. 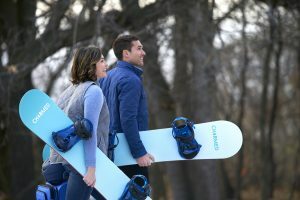 They’ve both taken on new jobs–his pace has slowed down while hers has ramped way up, but the weekend presents an opportunity to reconnect. 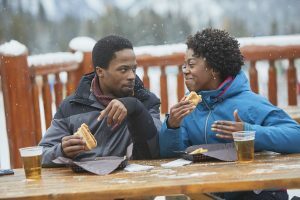 Cole says she got to snowboard a little bit for real this time, and while the fondue scenes were fun in the original movie, this time around, they had to factor in a flu-ridden Bernard. “We were all looking forward to it and she got so deathly sick with the flu.,” she explains. 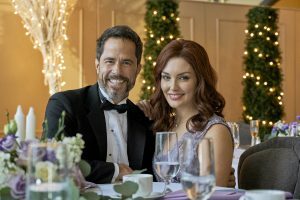 In next weekend’s Ruby Herring Mysteries: Silent Witness, Cole plays the titular Ruby, a consumer affairs reporter who accidentally falls into a murder investigation during her sister’s wedding weekend. She calls on her dad, a well-regarded veteran crime reporter (played by Cole’s real-life stepfather, Shawn Christian) for insight and uses her easy familiarity as a reporter to solicit additional help from old friends and new faces. This of course isn’t an ideal situation for the newly transferred detective, Jake Killian (Return to Christmas Creek‘s Stephen Huszar), assigned to work the case. Cole loved the script when it came her way and was happy to revisit some of the detective territory she played in The Glades and CSI: Miami. She was thrilled that it came with the opportunity to potentially do a few a year, and she pitched Christian to join her. “I was shooting One Winter Proposal and they contacted me. I read it and it was one of my favorites. The storyline, the characters, everything makes sense. Nothing feels forced. Everything feels natural and you want to hear more. The storyline between her and her father is really enticing, and it sets up a good potential arc for all the characters to delve into what makes them tick,” she shares. Cole will be live Tweeting both movies. You can catch her on Twitter here. 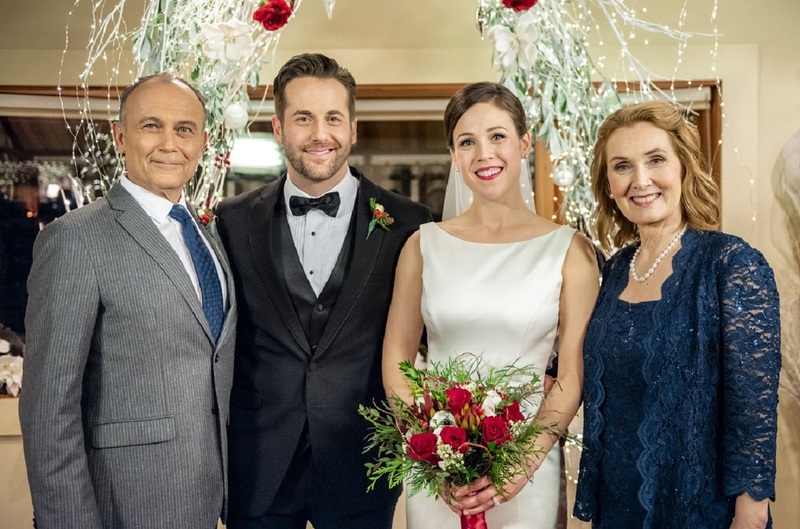 One Winter Proposal airs Saturday at 8 pm/7c on Hallmark Channel immediately following an encore of One Winter Weekend. 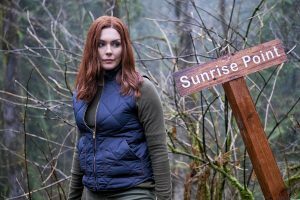 Ruby Herring Mysteries: Silent Witness airs next Sunday at 9 pm/8c on Hallmark Movies & Mysteries. Here are sneak peeks of both. All photos courtesy of Crown Media United States LLC. 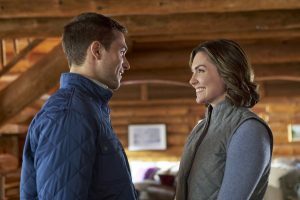 I really love Ruby Herring and would like to see more of Taylor Cole & Stephen Huszar solve murder mysteries together. They have great couple chemistry, I enjoyed how well they interacted during the police investigation.